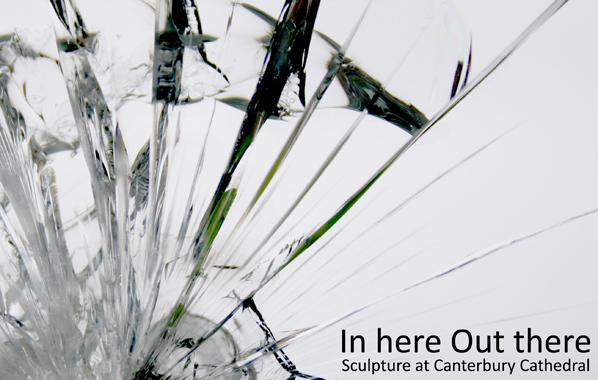 This exhibition brings together a variety of artists that have an academic association with the city of Canterbury having been students or tutors. It will feature work in a wide range of disciplines and concerns from some of the area’s best talents, imagining their concepts specifically for this exhibition. ‘In Here Out There’ could be represented in many forms, but for the purpose of the wider audience the title explains in the most simplest of terms the route of an idea or concept in the mind of an artist being made real in the world of objects and sculpture. Ranging from but extending through and into yet unknown territories from internal external, earth and universe, spirituality and religion, dialogue and conversation, mind and matter and an infinite number of other permutations that the audience may want to interpret. For the last few years the Canterbury Festival has hosted sculpture exhibitions in the Chapter House. This exhibition is to be held in the most prominent location in the city during the busiest time in the creative calendar of Canterbury. This is reflected by an average of 5000 visitors to the chapter house for the period of the festival.